The number of cigarettes holidaymakers may bring back from Europe without attracting questions from Customs officials is to be cut by more than two-thirds as part of a Treasury attempt to claw back some of the £2.2bn in tax lost to tobacco smuggling every year. The proposed change, which sets a guideline limit of 800 cigarettes and 1kg of rolling tobacco, will reignite a battle with campaigners such as smokers’ rights group Forest. 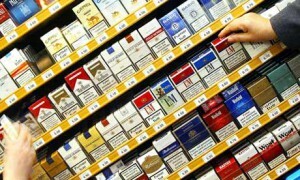 Simon Clark, director of Forest, described the move as “shocking”, noting that current limits of up to 3,200 cigarettes and 3kg of rolling tobacco were set in 2002 after an attempt to clamp down further met with outrage and legal challenges. Under European law, smokers bringing in tobacco merely have to convince Customs officials it is for personal use. Official guidance, however, sets the level at which suspicion is cast on personal imports. In 2002, when then chancellor Gordon Brown sought to impose a maximum guideline of 800 cigarettes, an opposition campaign won enthusiastic support from sections of the media. The Sun newspaper claimed it had been victorious when the level was increased to 3,200 after a series of stunts including sending its own bus, full of page three girls, to head a protest convoy of cross border shoppers to Calais. The Treasury also faced a legal challenge from cross-Channel operator Hoverspeed. This time, Greening is confident she has the support of the tobacco industry and believes a guideline limit of 800 cigarettes – commonplace across the continent – is well established in European law. Campaign group Action on Smoking and Health is also supportive. The Tobacco Manufacturers Association said it would not oppose the reduced guideline limits but noted the move would not be welcomed by low-income smokers, coming a month after heavy price rises imposed in the budget. Paul Stockall of the TMA said the budget imposed the steepest price rises on cheap cigarettes and rolling tobacco, the price of a packet of 20 cigarettes and a 25g pouch rising around 10% to £5.64 and £7.34 respectively. “We would expect non-duty-paid [smuggled cigarettes] sales to increase,” he added. More than one in 10 cigarettes smoked in the UK is smuggled or bought legitimately by overseas travellers. The figure for rolling tobacco is almost half. Tobacco sales nevertheless generate £8.8bn in tax each year for Treasury coffers. The controversial move to lower guideline limits for returning holiday-makers is part of a broader package of measures which will see a 20% budget increase for Revenue & Customs’ 685-strong anti-smuggling team. Additional resources will primarily be focused on intelligence operations overseas, where seizures exceeded 1bn cigarettes for the first time last year. The biggest loss to the Treasury comes from counterfeit tobacco products and so-called “illicit white” – brands manufactured for overseas markets and smuggled into the UK, the most prevalent of which is Jin Ling, which is made in Kaliningrad, Russia.